Sometimes it's hard to make a decision that impacts the look of your home. You search through magazines for inspiration or turn on your favorite HGTV shows, but you're still struggling. "Eastwood Homes returns to using Hy-Lite products because the windows are an attractive and affordable feature which allows our buyers to enjoy privacy in their master bathrooms while still taking advantage of the natural sunlight. The Hy-Lite windows are much more attractive than other alternatives for adding privacy to a large window over a soaking bathtub." 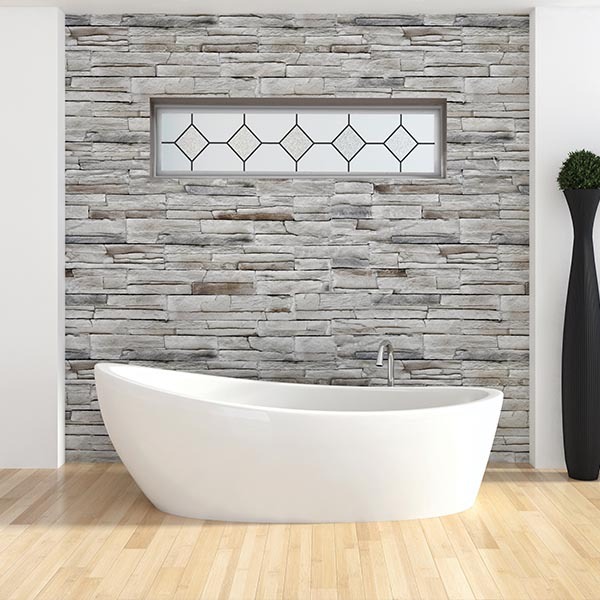 "The Bath-Lite Series offers our homebuyers privacy in the bathroom coupled with an aesthetically-pleasing appearance. These windows provide privacy while still allowing natural light into the bathroom. Plus, they eliminate the need for a blind on a clear glass window." "We install about 250 Hy-Lite acrylic block or decorative glass windows each year as upgrade options in our homes. These are mostly fixed units that go into the master bathroom to offer homeowners design style and privacy. Homeowners seem to like the price point for these windows and their quality." "We install more than 80 acrylic block windows in bathrooms each year in our homes. Year after year we depend on Hy-Lite products to add both style and practical privacy to our bathrooms.